It doesn't matter how stoic you are in the face of all the other creepy crawlers the world throws your way — pretty much everyone has wondered how to stop being afraid of spiders. 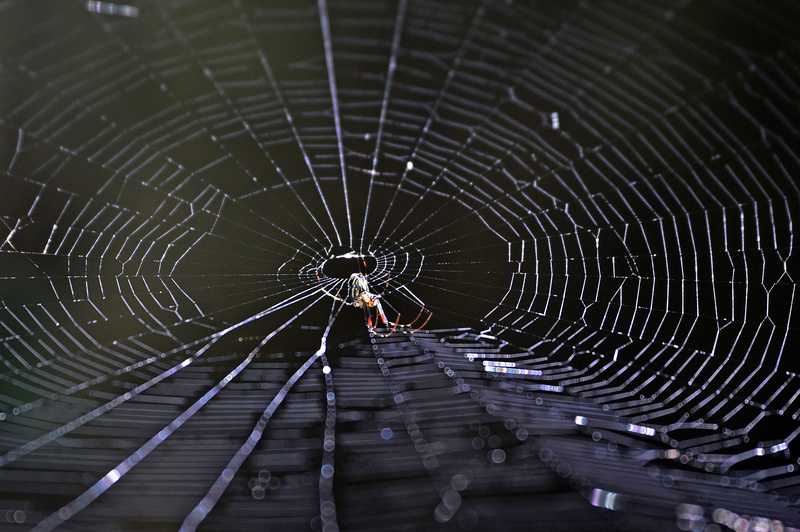 Although not everyone has a full-blown phobia, arachnophobia is considered one of the most common fears. In fact, scientists at Columbia University published research last year indicating that the fear of spiders dates back hundreds of thousands of years. If you see a spider and suddenly find yourself clutching the wall on the other side of the room with no memory of how you got there, it's safe to say you're in good company. For people with arachnophobia, however, the fear of spiders is totally disproportionate — it can lead to panic attacks, extreme discomfort, or going far out of their way to avoid encountering a spider. The good news is that specific phobias are fairly easily overcome with something called exposure therapy. It's fairly self-explanatory: People are exposed to the source of their phobia in a relaxed environment; if it's successful, a "new" memory is formed that essentially replaces the old fear. Old memories can be surprisingly tenacious, however, and sometimes even successful exposure therapy fades over time. Fortunately, in a paper published in Current Biology , researchers at Uppsala University demonstrated a way to prolong the effects of exposure therapy. In the study, participants with arachnophobia were exposed to pictures of spiders; at the same time, researchers monitored activity in their amygdala, an area of the brain associated with fear and anger. Here's where it gets interesting: Participants who underwent 10 mini-exposure sessions followed by a prolonged session had less activity in their amygdala when they were shown spider pictures the next day than those who received regular exposure therapy. Furthermore, spider avoidance also decreased. According to researchers, the idea is that this "activation" of fear before longer exposure weakens the overall association between spiders and fear. This allows the new, relaxed memories to form and prevents the fear from returning as easily. Needless to say, these results could have positive implications for the long-term effectiveness of exposure therapy. "A simple modification of existing treatments could possibly improve effects," said Uppsala University researcher Johannes Björkstrand in a press release. "This would mean more people getting rid of their anxieties after treatment and fewer relapses." Of course, exposure therapy is best left up to professionals, so don't start having staring contests with the next spider you see just because you read a study about exposure therapy. But if your arachnophobia is debilitating, it's clear that the fear of spiders doesn't have to rule your life.